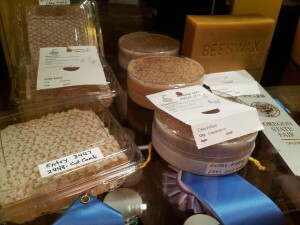 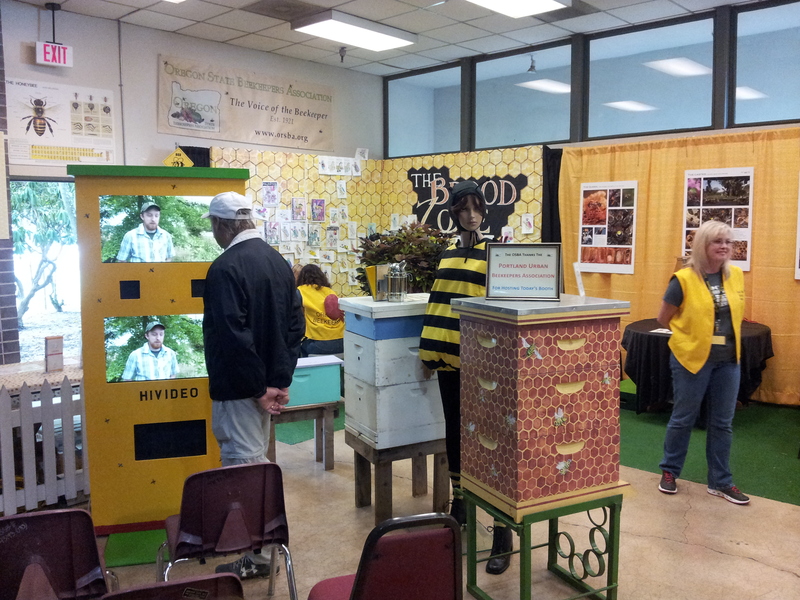 On August 29, 2015, Portland Urban Beekeepers hosted the OSBA bee booth at the Oregon State Fair in Salem. 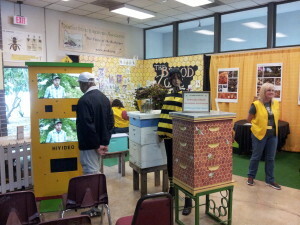 The booth was really nice, with a “Brood Zone” for children to keep busy, an observation hive, a display case with all the honey, wax, and photo entries, and many large photo and informational posters. 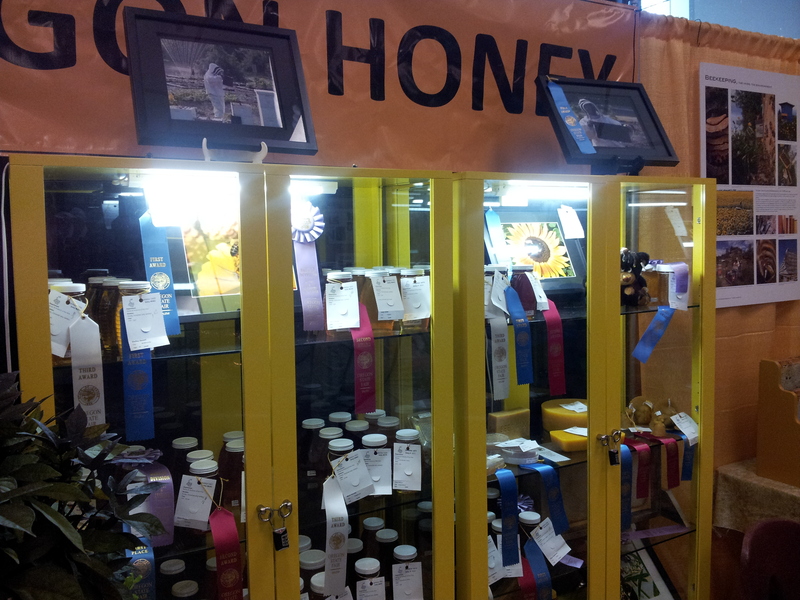 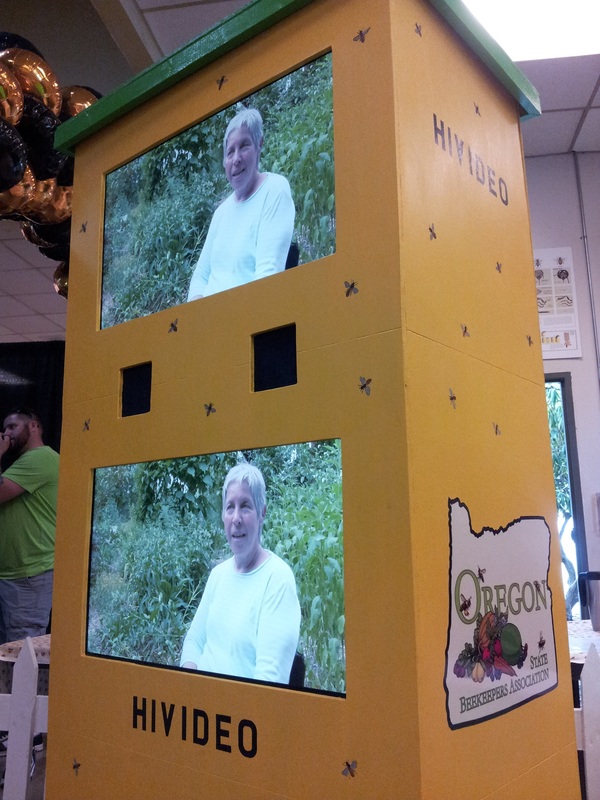 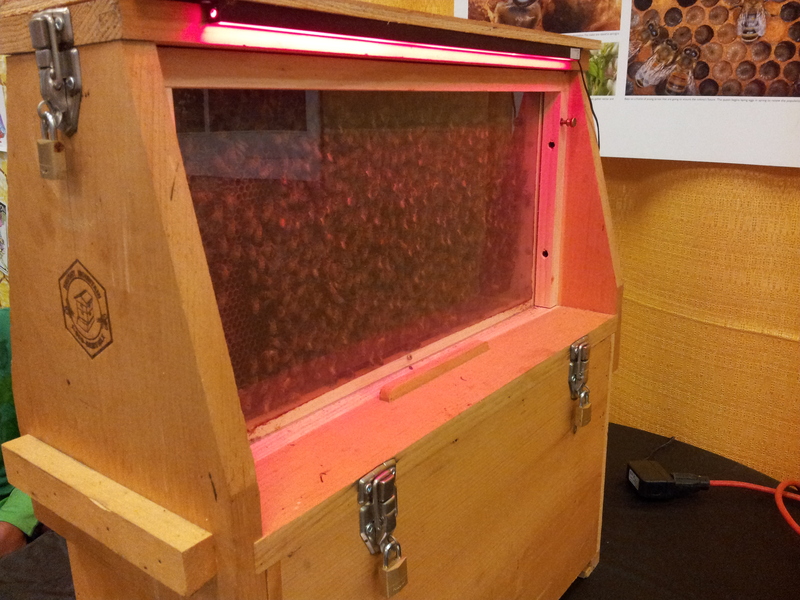 Front and center in the booth this year was a new addition: “HIVIDEO” – A display case built to look like a large hive with a video featuring “The Faces of Oregon Beekeepers” running in a loop.